Are you saving that imported extra virgin olive oil for a special occasion? You may want to open it up today and use it — that is if it’s really extra virgin. Unlike wine, olive oil does not age well, and what you thought was fresh olive oil, may just be, well, old and rancid. Extra virgin olive oil is the highest grade of olive oil and is praised for its fresh and fruity flavor. 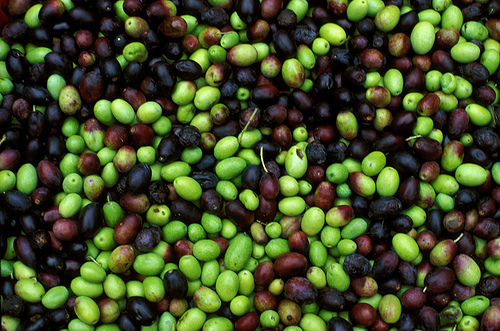 The process, known as cold pressing, extracts the oil from the olives without the use of chemicals, helping it retain its nutrients and flavor. The fatty acids and antioxidants in the oil contribute to many health benefits, including reduced risk of heart disease. The problem with most extra virgin olive oils is that they are imported and found to be substandard. Many claim to be extra virgin and do not meet U.S. quality and standards. “The fact is, it’s quite often just very low-grade oil that doesn’t give you the taste of the health benefits that extra virgin should give you,” says Tom Mueller, olive oil expert and author of Extra Virginity: The Sublime and Scandalous World of Olive Oil. Check for brands that have a harvest date label on the bottle, such as Salud de Paloma. 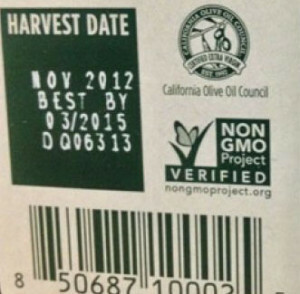 Most imported oils do not have a harvest date, so consumers don’t know when their olives were harvested. If you can’t find a date, choose another one. Use the oil within one year of its harvest date, even if the “best before” date is two years out. The sooner the oil is used, the better. So pull out that bottle of extra virgin olive oil that you’ve been saving and use it tonight — if it’s too old, use it to oil your cast iron pans and purchase a fresh one this week!